Today, because most interactions are digital, the application experiences you deliver to your customers are often the most important experiences they’ll have when doing business with you. The viability of your brand largely rests on the quality of their experience with your applications, whether they are on PCs, notebooks, tablets, phones or soon even wearables. 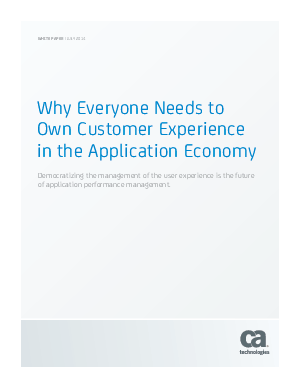 As a result, CIOs and technology leaders need to know how to deliver the application experience users expect.